Experience the taste of stadium fine dining wherever you are with Ballpark Gum. 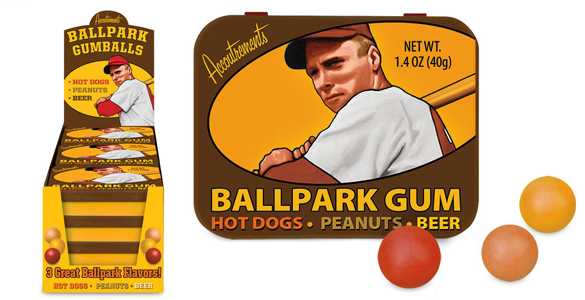 The gumballs cover the holy trinity of ballpark food – peanuts, hot dog and beer. Hot dog gum. Yum.